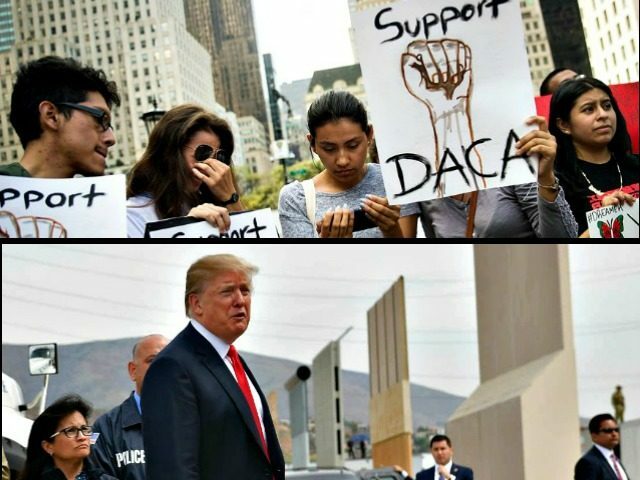 On Saturday, Trump offered Republicans and Democrats a plan to give amnesty in the form of three-year work permits to a little more than 700,000 illegal aliens who are enrolled in the Deferred Action for Childhood Arrivals (DACA) program. Mendoza calls the move “brilliant” because she says it will expose House and Senate Democrats for being radically supportive of open borders. Mendoza said she hoped the Trump administration and Congress would properly screen the DACA-enrolled illegal alien population to “weed out” the “criminal element” of the program. Already, House and Senate Democrats are rejecting Trump’s proposal. Rep. Nancy Pelosi (D-CA) has called the plan a “non-starter” while Sen. Chuck Schumer (D-NY) called the deal “not a compromise but more hostage taking” by the president. Since DACA’s inception, more than 2,100 DACA recipients saw their protected status revoked for being involved in gang activity or suspected/convicted of a felony. Due to a hidden gateway in the DACA program, more than 39,000 illegal aliens have been able to obtain Green Cards, and more than 1,000 naturalized.